The United States Holocaust Memorial Museum (“Museum”) is committed to protecting the personal information that you provide to us when using our website. The Museum does not collect personal information about visitors to our website unless you choose to provide it to us. We collect two types of information about our website visitors: 1) anonymous information that is automatically collected from all visitors to our site, and 2) personally identifiable information that you knowingly and voluntarily submit to us (“personal information”). The Museum only collects personal information that you voluntarily provide to us. Personal information we may collect includes your name, postal address, e-mail address, preferences for types of information, or the name, address or e-mail address of a friend to whom you wish us to send information or a gift. A specific type of personal information that may be collected is financial information, as further described below. If you decide to give us personal information for a particular purpose, we may contact you about other Museum programs or opportunities to support Museum programs. For example, if you do one of the activities on our website, such as post a comment, you may be given the option to subscribe to our e-newsletters or to donate funds in support of Museum programs. You will always have an immediate opportunity to decline further communication. If you make a tribute gift, the Museum may provide your name and postal address to the family of the person who was honored by your gift. If you wish that your name or address not be shared for this purpose, please contact our Membership Division at the telephone number or email address given below. Donors who have provided the Museum with an e-mail address or whose postal address is matched to an e-mail address will receive Museum’s general news e-newsletter. If you wish to decline the e-communication benefits, please follow one of the opt-out procedures described below. Our website has pages on which members of the public are invited to comment or provide feedback, such as message boards. Any information (comments, photos, sounds) posted on these pages becomes public information. Please exercise caution when deciding to disclose personal information. Some of the Museum’s online programs and applications may offer educational content of interest to children under the age of 13, and the Museum may occasionally receive personally identifiable information from a child in order to respond to a one-time request or communication. We do not use the information for any other purpose and will delete the information as soon as practical. For example, a child may use his or her e-mail address to send us a photograph for a Museum web page for students. We will use the e-mail address to send the child confirmation that we have received the photo and we will then delete the e-mail address. If the Museum becomes aware that a child has posted personally identifiable information on any of our web pages, we will delete the information as soon as practical. 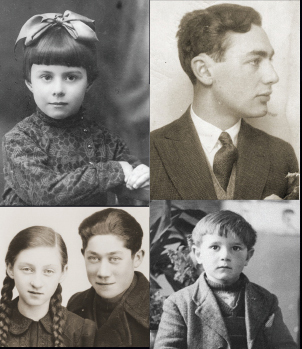 The Museum is concerned about protecting children’s privacy, and we encourage parents to contact us with any questions or concerns they may have via the web form at ushmm.org/information/contact-the-museum. Parents may also use this web address to request the deletion of any collected personal information about their children under the age 13. Financial information is personally identifiable information you submit that may include the amount of a gift or payment, preferred payment method, a credit card number, debit tracking number, or other information required to complete a financial transaction. The Museum will not disclose financial information except as necessary to fulfill the donation or order request. We collect financial information in a secure manner and discard such information after processing is complete. We employ error-checking procedures to make certain transactions are processed in an accurate, complete, and timely manner. The Museum also obtains independent internal and external audits to ensure the privacy, security, and appropriateness of these transactions. If you prefer to mail or phone in a donation, please see the contact information on the donation form, or call 866.99USHMM (866.998.7466), or mail your gift to: United States Holocaust Memorial Museum, Donation Processing Center, P.O. Box 1568, Merrifield, VA 22116-1568. When you visit the Museum’s site, session cookies may be stored that last only as long as your session on the Museum’s site. They expire when your session ends and are not written onto your computer's hard drive. For example, we may use session cookies in retaining a choice you have made while using the Museum’s calendar. As with long-term cookies, no personal information is stored in session cookies. Credit card information cannot be accessed using cookies. You may set your browser to refuse long-term and session cookies from any website that you visit. If you so choose, you may still gain access to most of the Museum’s website, but you may not be able to conduct certain types of transactions (such as shopping) or take advantage of some of the interactive elements offered. We may disclose personal information to third-party service providers who are contracted by the Museum to facilitate services, such as completing contribution transactions, responding to your service requests, sending e-newsletters, responding to surveys, or other similar functions. All of our third-party service providers have access to your personal information solely for the purpose of providing services to you on our behalf, and they are contractually prohibited from sharing your personal information with other third parties. Except for these exceptions and for law enforcement or other purposes specifically required by law, the Museum does not disclose personal information to third parties without first obtaining your permission. We occasionally exchange or rent contributor postal mailing lists with carefully selected organizations, specifically to help us expand our Membership program in a cost-effective way. Please note that we do not exchange or rent e-mail addresses. If you prefer that we do not exchange or rent your name and postal address, please follow the instructions in the opt-out procedures below. The personal information we collect is stored on a secured server. We use industry-standard encryption technologies to prevent your personal and financial information from being seen as it travels over the Internet to our servers. We routinely evaluate our security and the security of our third-party service providers to monitor and upgrade security measures. You can opt out of receiving e-mail correspondence or e-newsletters in one of two ways. E-mail correspondence and e-newsletters have an easy-to-use unsubscribe option at the bottom of each e-mail. Just click on the unsubscribe link at the bottom of an e-mail and follow the instructions on the page to opt out of that e-mail correspondence. If you have made a gift to the Museum, you may request a review of or correction to your account information in one of two ways. Call our toll-free Member Services line at 866.998.7466. Indicate “do not exchange” or “do not rent” on any of your membership mail packages and return in the pre-addressed envelope. 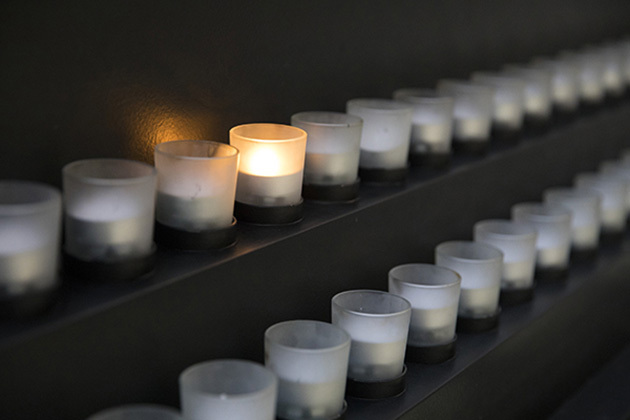 Send an e-mail to membership@ushmm.org. Call our Member Services line at 866.998.7466. You can opt out of the Museum’s SMS correspondence or Premium SMS Services by texting STOP to the short code 20222. Text HELP for help or visit hmgf.org/t (external link). Messaging and data rates may apply.